The serious precision shooter is always on the lookout for an advantage. And that's not to say that equipment can make up for skill, but rather that you need to find equipment of sufficient quality that it doesn't get in the way of your skill — meaning, ideally, that your rifle won’t present any issues that hurt the accuracy you're actually capable of. Problems in construction, assembly, and materials of your firearm can all lead to wild or inconsistent shots, especially with repeated use and the cumulative stresses of recoil, and it's very hard to improve your marksmanship when your own equipment is sabotaging you. How can you get the most out of target practice if you don't know whether it's you messing up, or the gun? An inferior rifle won't just hurt your accuracy by being unreliable, but it can also teach you bad habits. If you're constantly correcting for your rifle's flaws, you'll find yourself overcorrecting later when you shoot with a better firearm. 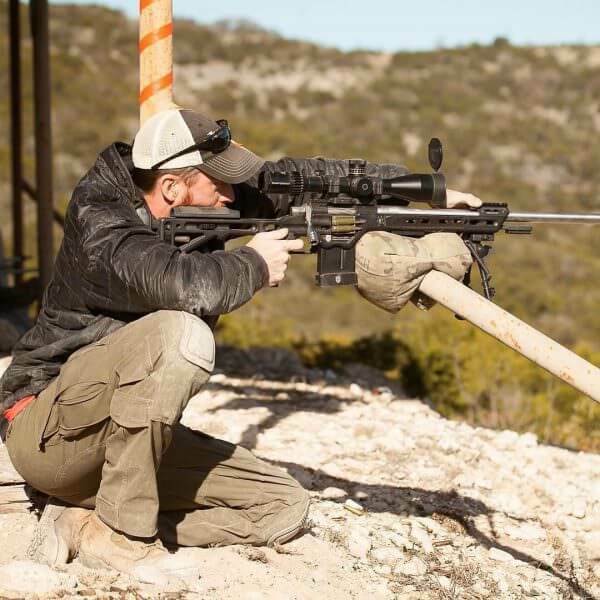 Naturally, the solution is to shoot with only the best, and supplying discerning marksmen with the best rifle parts and accessories is what the OTM Tactical online store is all about. So, let's address the question we posed in the title of this article: MasterPiece Arms does in fact live up to its name, and here's why. MasterPiece Arms, located in Comer, GA, stands out from the competition by manufacturing nearly all their components in-house. Their processes are geared toward creating a quality product, no matter the cost in materials and time. They also design and build the very machining and turning fixtures and other workstations that they use to create their rifles. Every part goes through an intense inspection process with the constant motivation to produce the best in the industry. We are very impressed by MasterPiece Arms’ Competition Bolt Action Chassis system, which as its name would suggest, comes packed with features ideal for tactical shooting competitions. A rotating barricade stop locks the rifle in place when shooting from barricades and the presence of multiple holes makes it easy to adjust the stop to different locations. For shooters shooting off other objects such as oil drums, a supplemental Picatinny Rail and mounting location enables attachment of a bipod closer than usual to the magazine well. This rail can be removed at any time. The mag well itself is modified to allow sideloading, a configuration known as the Ryan Castle mag well cut. The recoil pad and cheek riser are adjustable and the chassis itself is built with a unique “pocketing” system to reduce weight. There are more features we don’t have the space to get into here (and there’s tons of rail space for further customizations), but the whole thing is topped off with a tough-as-nails Cerakote finish available in a variety of colors. Overall, the MasterPiece Arms Bolt Action Chassis System provides an extremely precise platform for the Remington 700 short action footprint. OTM Tactical is proud to have MasterPiece Arms chassis and accessories in our catalog. We carry the Competition and Sniper chassis as well as enhanced vertical grips, magazine extenders, and more. We feel they would make a fine upgrade for any serious precision shooter and the results must be seen to be believed. If you have any questions, please feel free to contact us at OTM Tactical.